I finished quilting the yet-to-be-named t-shirt quilt. YAY! I used my mom's machine. It's like going from a Honda Accord to a Lexus LS. I also started my next Purdue quilt. This will be the third one I've done. 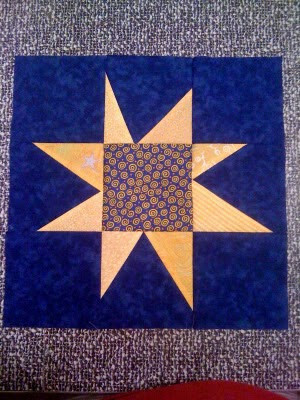 It's always nice to be paid for making a quilt though I am getting tired of black and gold. Instead of a zig zag, I decided to make up a P block. That required drawing out the pattern - not something I usually do. I was able to finish five blocks yesterday. What do you think? I'm still deciding. Remember when I mentioned the Block of the Month homework I had? Well here is a picture of a previous block I did. I liked the block design but sage, rust, and tan are definitely NOT my colors. Let the Wild Pinning Begin! Labels: i wonder how many people will understand the reference in the title? 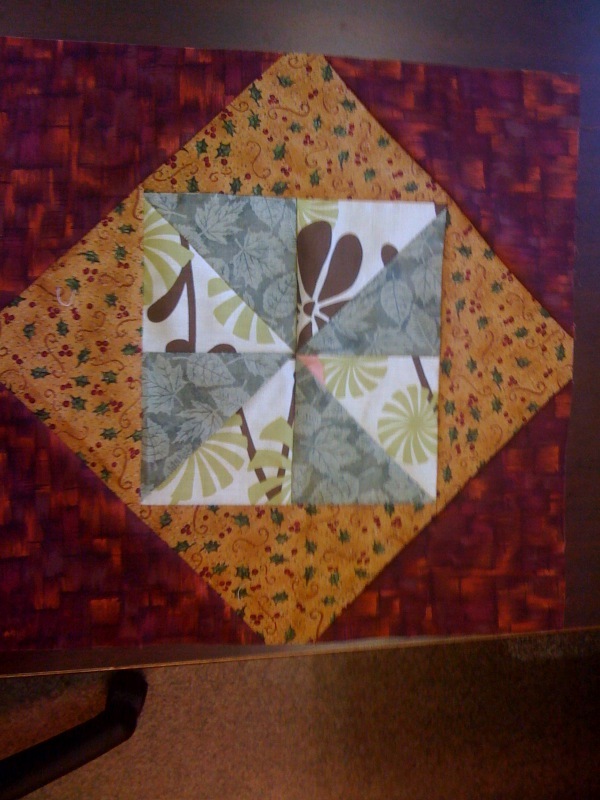 In other qulity related news, I spent the weekend quilting away with my mom. I finished three other blocks for the exchange. (We do one per month so two were catch up, one was for this month, and one was for an upcoming month.) 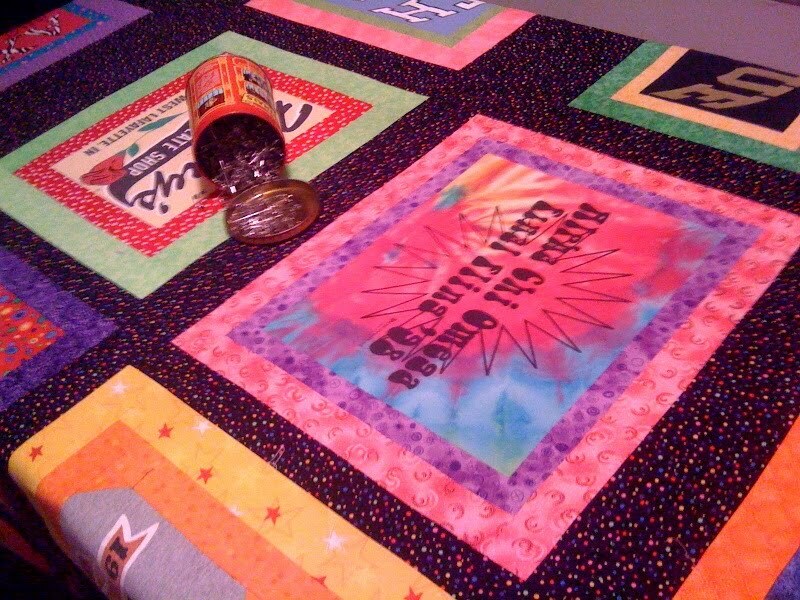 I also finished the top to the T-shirt quilt. My mom left her rockin' Janome with homework to get the thing quilted before I have to return the machine to her this weekend. It's a lofty order so we'll see if it happens.